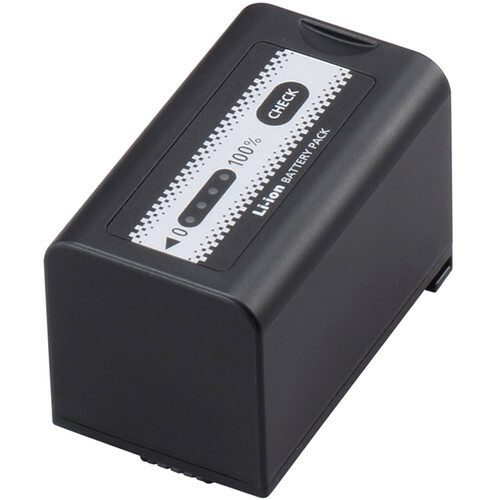 The Panasonic AG-VBR59 is a 7.28V, a 43Wh lithium-ion battery for the Panasonic AG-DVX200 camcorder. It features a 5,900mAh capacity and offers a 4-LED power gauge. For charging, this battery is compatible specifically with the Panasonic AG-BRD50P charger, sold separately. A full charge takes approximately 3 hours and 20 minutes.